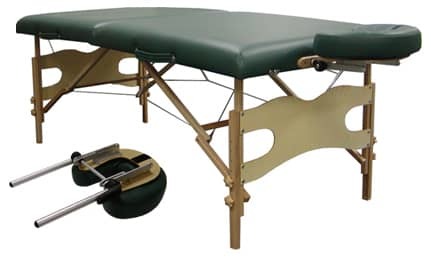 Portable massage table featuring beech wood legs, rectangular top, semi-firm padding, and adjustable and removeable headrest. 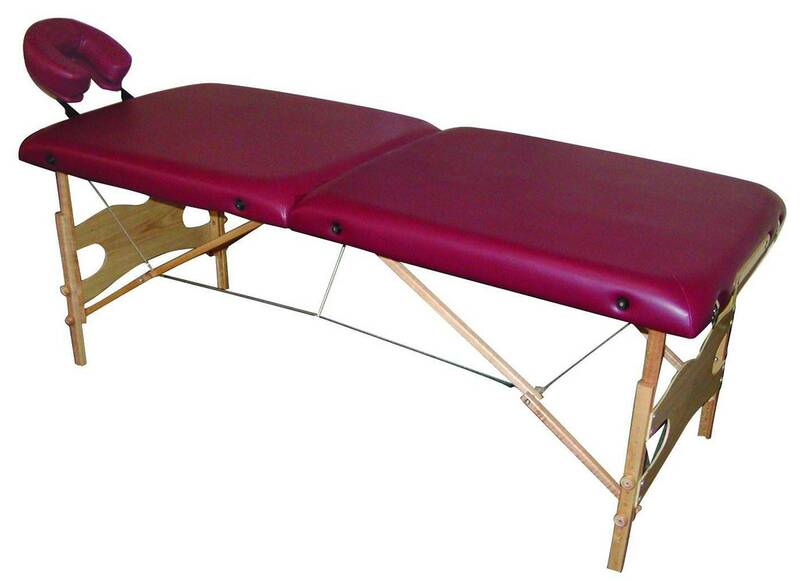 Portable massage table featuring beech wood legs, rectangular top, and semi-firm padding. Accommodates a wide array of bodywork modalities. Headrest with locking mechanism is adjustable, removable, tiltable. Headrest bars are made out of aluminum for durability. Dimensions: 72.5" x 30" x 25"
Height is adjustable from 22" to 31". Comes with Carrying Case.